Fairly quiet at the moment. It seems odd that its not under First South West! Service is pre-booked only. Public Inquiry (74036) to be held at Jubilee House (Bristol), BS5 0GB, Croydon Street, Bristol, on 28 June 2017 commencing at 14:00 Previous hearing on 10 February 2017 was adjourned. 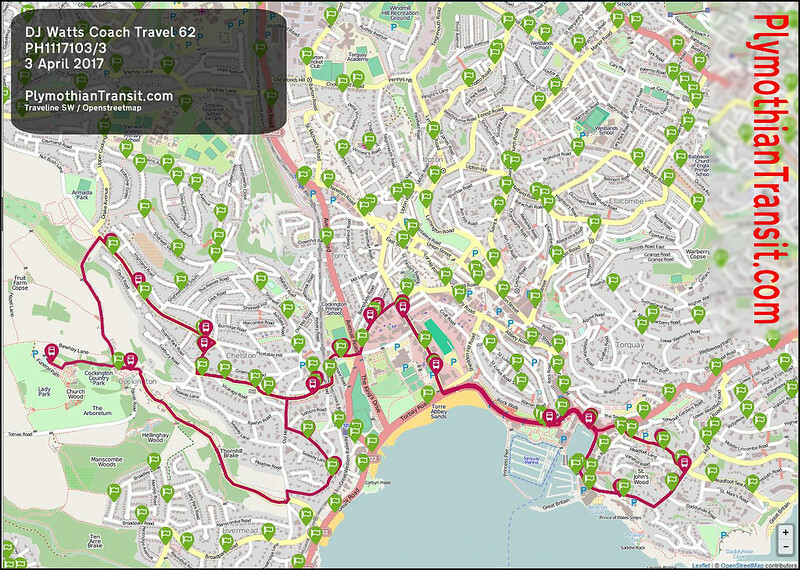 The changes to the Torbay Buses routes from 7th August are timetable-only. 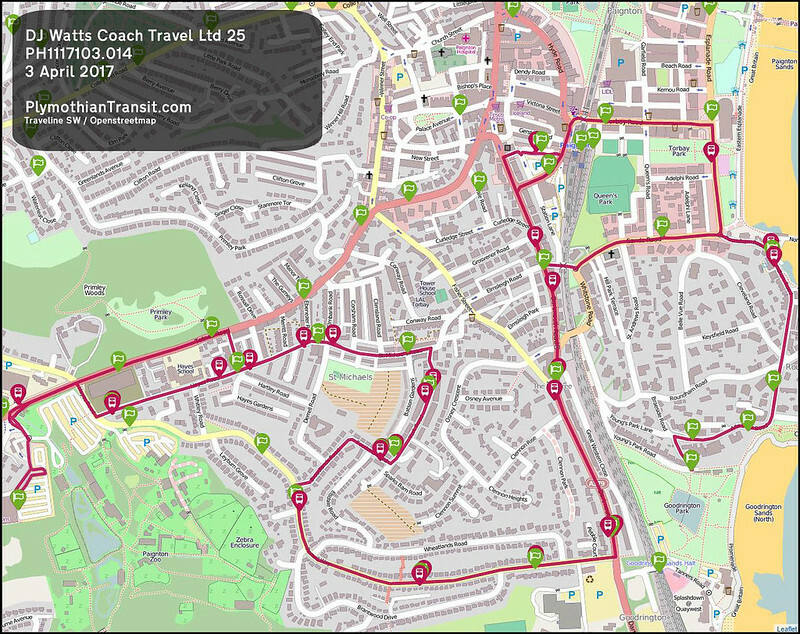 Essentially each route will now have an hour's break (roughly between 13.00 and 14.00) to allow for the driver's break, meaning that a whole day's duty on each route can be operated with the same driver. Very Sensible and a Cost Saver, must say I don't understand why they produce Hardly any publicity for the 4 Services that they operate Two A5 Leaflets back to back 62/64 Timetables on one with 25/108+109 on the other,the vehicles still show Local Link through the paintwork on a couple of the vehicles and the blacked out windows on the 25 Route Minibus looks awful. 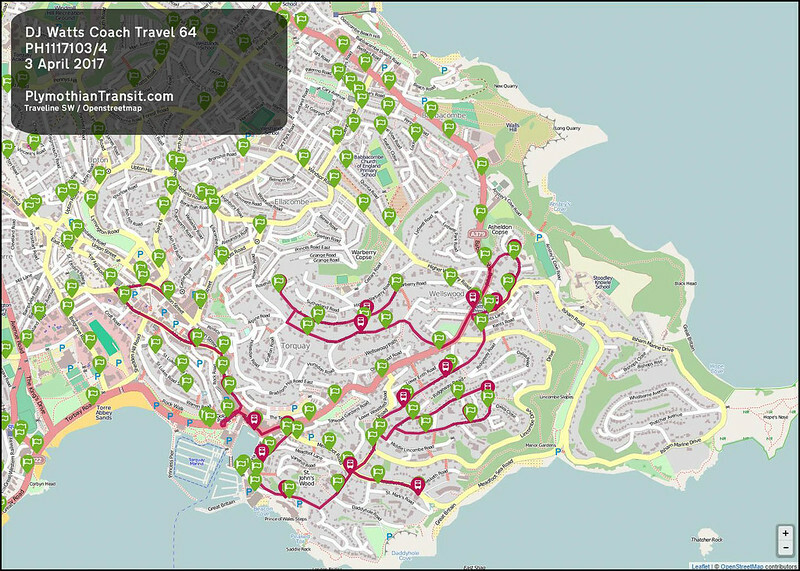 Yes whilst the continuation of the services is a godsend to many, and I commend DF Watts (Torbay Buses) for taking them on and trying to run them, it is clear that this is a shoestring operation and I wonder how long it can carry on with nil support from Torbay Council. 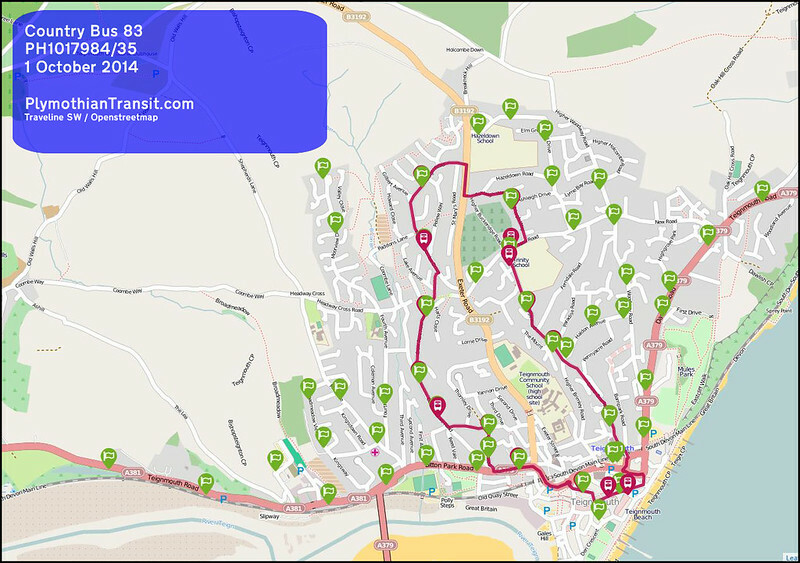 As it is, the Council and the local MP make all the right sympathetic noises, but Torbay Community Development Trust's proposal to expand its Ourbus operation to replace parts of the former 64 and 65 doesn't seem to be getting any practical help. At the time Local Link announced its withdrawal from bus operation I did wonder if Country Bus might take them over and possibly establish an outstation in Torbay. I suppose it might yet happen.